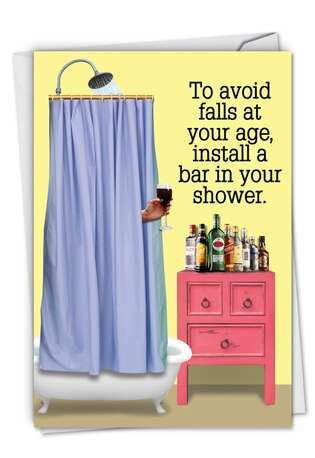 Cover Reads: To avoid falls at your age, install a bar in your shower. 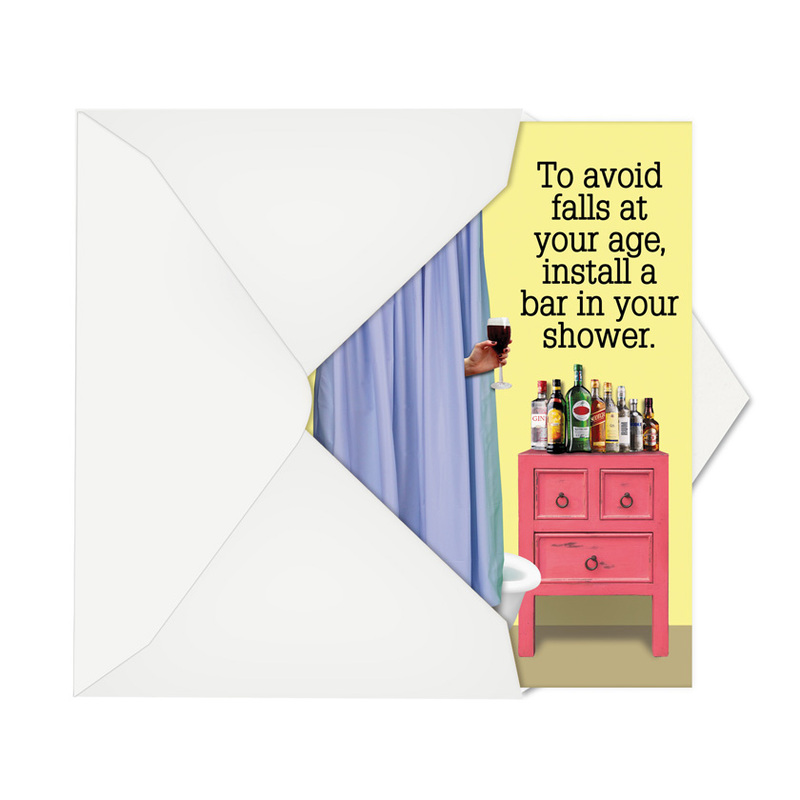 As a person gets older, they often have to install certain equipment in their home so that they can still get around and enjoy their abode: a chair lift on the stairs, a door or seat in the tub, a bar in the shower. The secret to a long, happy, meaningful life, however, is installing the 'right kind' of equipment. 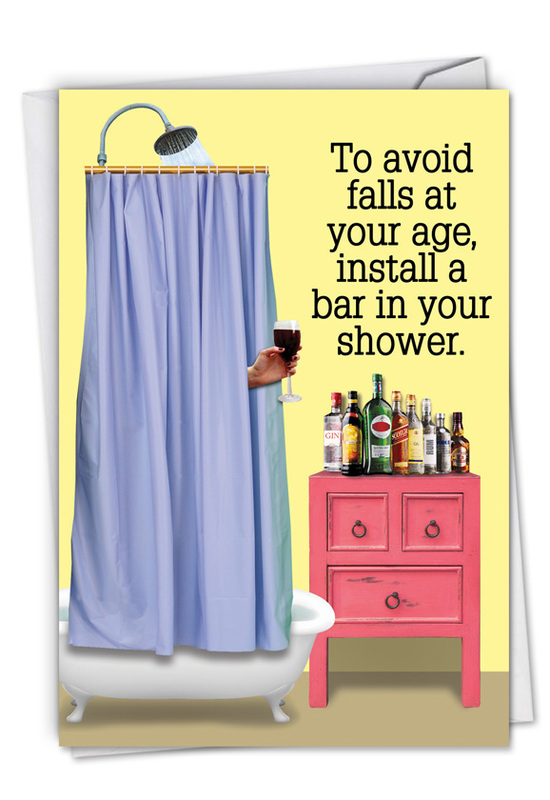 Like, an alcohol drinking bar in the shower, not a stainless steel support bar. 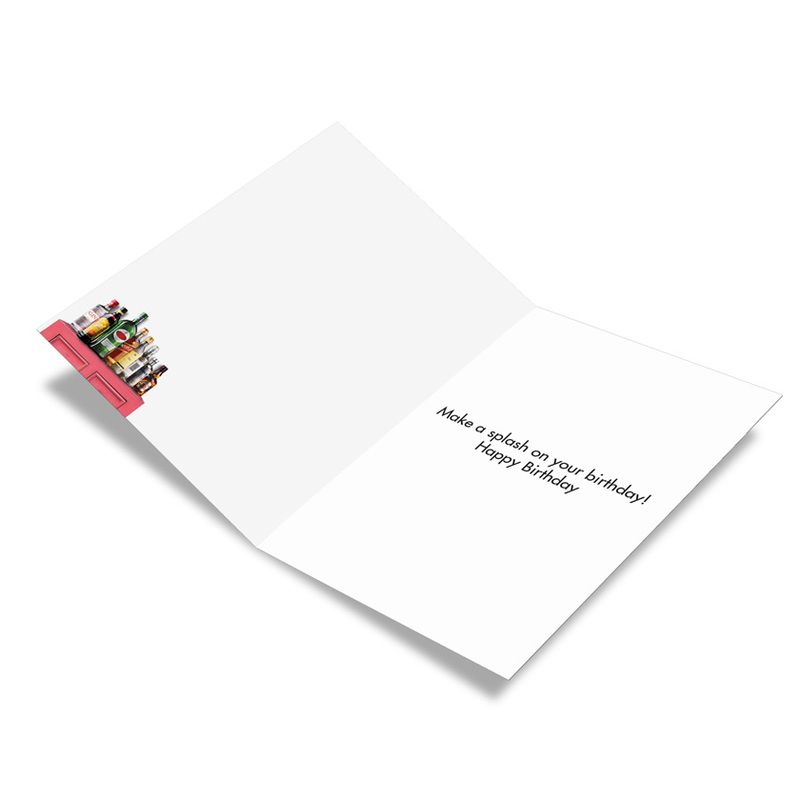 That's the good spirits idea hilariously illustrated in this clever, colorful, helpful, bottle bright B-day card. Here's to a long, wet, fulfilling and refilling life! Paper Stock: Recycled paper, printed in New Jersey, not China. The quality of Noble Works cards easily surpasses "store bought", the paper, printing, and quick shipping are terrific. Special card for special friend!